The hotel used to have troubles preventing smooth entry of our guests… now we are raising funds to improve the facility of our hotel “Villa Sweet Central Angkor”. Together with our local Cambodian staff, we hope to provide our excellent service to much more people in the world!!! Hi! I’m Jumpei, the manager of our hotel “Villa Sweet Central Angkor” located in Siem Reap, Cambodia. Previously, I worked at a Japanese tour agency, helped touring business in Siem Reap, and managed projects to start up a guest house. From May 2016, I am running the hotel focusing to serve relaxing environment for our guests to feel at home. In the rainy season, it gets difficult to let guests in due to the leaking roofs and short of washing space. The volume of sheets and towels to wash is too much to wash with the original washing machine in the rainy season. Furthermore, one guest room has to be used for backyard due to the leaking roof at the moment. So, we need your support for improving the hotel facility. To be more specific, we are going to use the fund to expand the washing space, to buy a new washing machine, and to remodel the bathroom. We’d like you to feel almost like you are one of the owners of our hotel and cheer, advice, and support us. 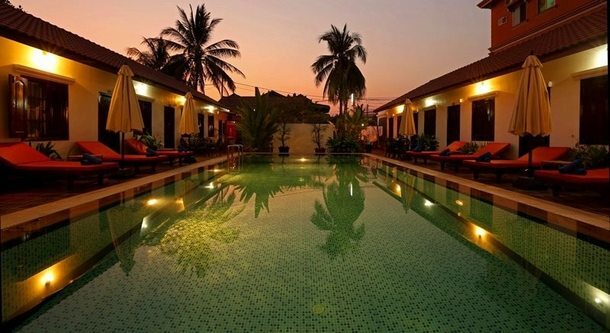 The pool with relaxing exotic environment is rare in Cambodia. Picture of a happy couple stayed at our hotel. I researched more than 200 properties dreaming to manage a hotel business and finally found “Villa Sweet Central Angkor” is THE ONE. 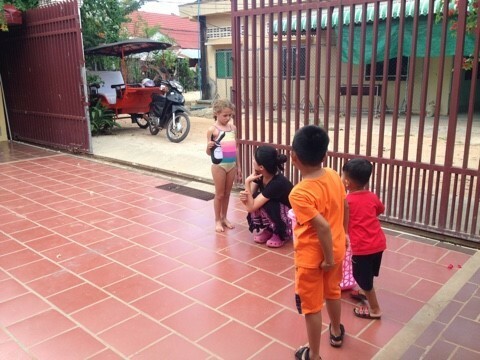 During the projects of starting up a guesthouse in Phnom Penh, I learned difficulties of running a business in Cambodia, such as “can’t find/buy a stuff I really need” or “construction doesn’t go as smooth as planned”. And after I finished the project, I started to call a lot of places to find the property I dreamed to run a hotel with. It was also challenging, as nobody has drawing and I needed to draw by my own, and I actually visited more than 200 sites within Phnom Penh and Siem Reap. “Villa Sweet Central Angkor” was an abandoned hotel so required some maintenance, but I was convinced that it could be reborn as a relaxing exotic hotel. It is now a great hotel with a nice pool surrounded by 16 guest rooms with relaxing atmosphere, but we still need repairs for some facilities. 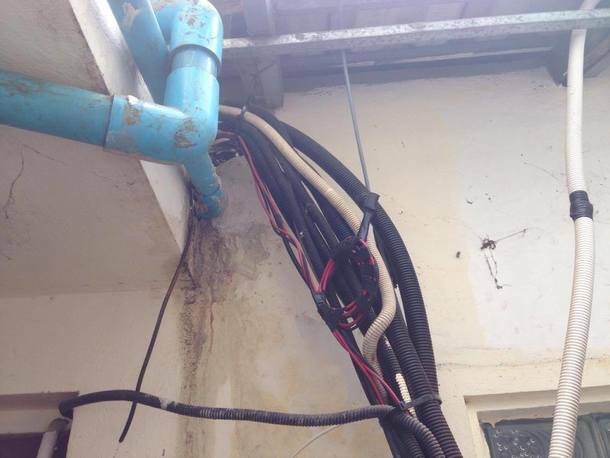 Other than the washing space that I explained earlier, water tank and electric wires are requiring maintenance. We’d like to resolve this as early as we can and provide the service with full capacity. The hotel is finally open!, but things did not go smoothly…. It was that time when I met a tuktuk driver, Mr. Kim. We opened our hotel in May 2016, but the first month, there was no reservation. So, I could not hire anybody, I did marketing, cleaning, pretty much everything by myself. It was really tough. Finally I got 1 reservation and picking up time was at 7 PM. I asked Mr. Kim who is a tuktuk driver introduced by one of my friends, Ms. N to go pick up the guest. When the guest was about to arrive, I heard some loud splashing sound. Something started leaking. I could not believe what was happening. 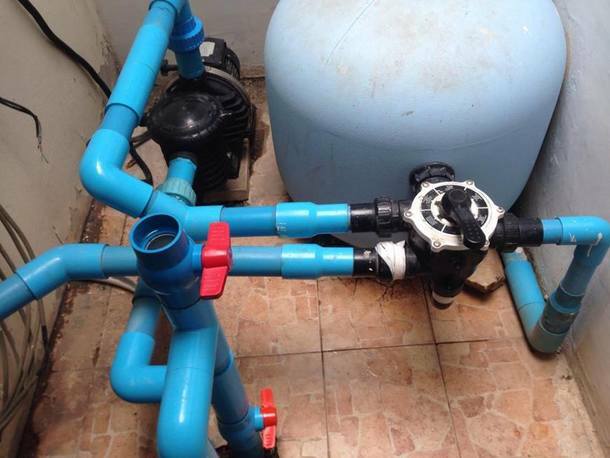 I contacted the owner and an engineer, but they told me that they had no idea why…. Mr. Kim is really kind and never raise his voice, but he got really angry at me as I was about to give up. The owner and the engineer did not show up after all. We asked Mr. Kim’s friend for help, but he could not figure out the cause and we could not solve the problem. So, we had no choice but ask the guest we finally got to go to a different hotel. On that day, Ms. N who introduced Mr. Kim to me stopped by. I got so relieved to see her face and started crying. I explained to her how much Mr. Kim helped me with tears. Since then Mr. Kim and Mr. Tom became my official staff. I finally got very reliable staff. I am so grateful that I could work with great staff and improve the hotel. Mr. Kim’s son is seeing a guest’s kid! The hotel we have built to the world! To make all guests happy! I would like to achieve 2 things with my staff and would like to improve my hotel and provide better services. １.I would like to set an example to people in Japan who are lost. 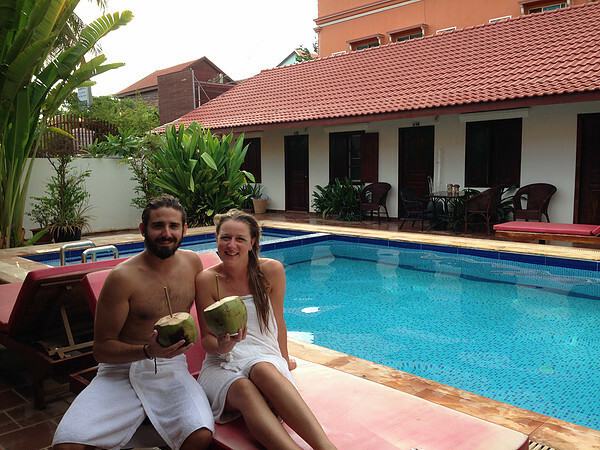 Running a hotel in Siem Reap where is highly competitive. I do not speak English, I have no special skills. I used to give up on myself and thought my life would never get better so wanted to end this. If I could succeed this project, I could give some hope to people who are in the same position as I used to be. 2.We want to increase interest in Cambodia. People still have a bad image about Cambodia that Cambodia is one of dangerous places. However, actually it is very comfortable to live and very peaceful place. Cambodian people always help me when I am in trouble. I would like to express the niceness of Cambodia and make a lot of fans. We spend time with guests playing games and such. I would like to improve this hotel that we have created with Mr. Kim and Mr. Tom to make guests feel more comfortable. We have a massage specialist who has 10 years experience, Mr. Sata from Japan is providing Japanese style chiropractic massage to guests. Some guests stay just to get his massage. I am so grateful to see that my dream is beginning to take shape. 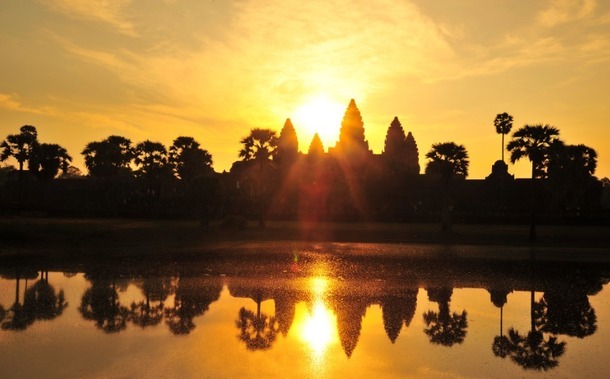 After renovation, we can express the beauty of Cambodia even more! I will try my hardest to make “Villa Sweet Central Angkor” more fantastic. Your support and cooperation would be greatly appreciated!!! 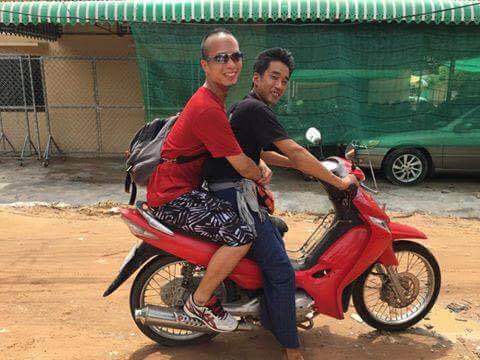 We have more tuktuk drivers now. ・One-night stay at Villa Sweet Central Angkor (1room) with great breakfast. ・30 minutes Japanese style chiropractic massage (standard price is 60mins/JPY 6000) by Mr. Ryuichi Sata. ・Two-nights stay at Villa Sweet Central Angkor (1room) with great breakfast. 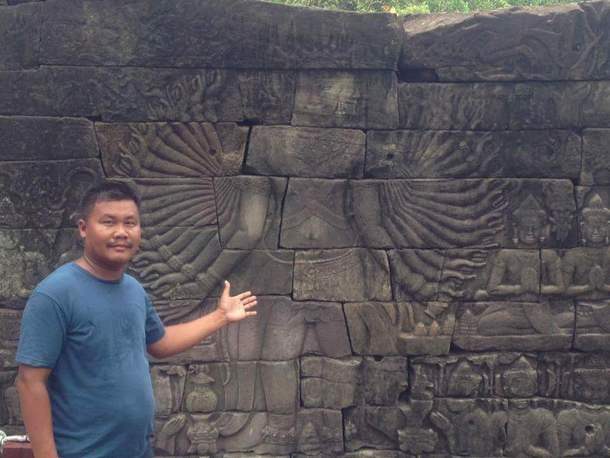 ・2 days tour services to Angkor Wat and Beng Mealea . ・120 minutes Japanese style chiropractic massage (standard price is 60mins/JPY 6000) by Mr. Ryuichi Sata. The Tuktuk driver, Mr. Kim will take you around! 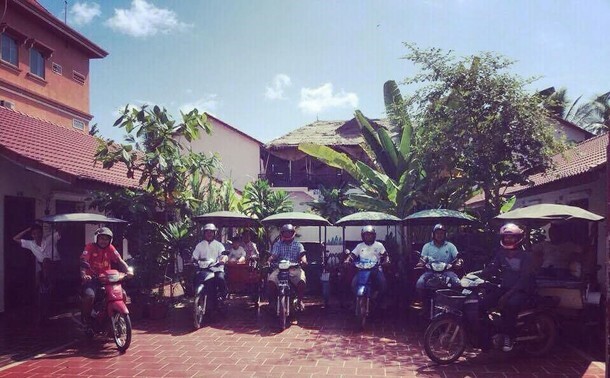 ・Special tour services for 5 days either with a tuktuk driver, Mr. Kim or the general manager, Mr. Iino. ・720 minutes Japanese style chiropractic massage (standard price is 60mins/JPY 6000) by Mr. Ryuichi Sata.